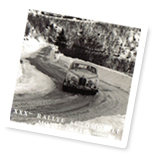 The story of the registration GTY 7 and its exciting life on a Jaguar MK2 taking part in the Monte Carlo Rally. Mr Phillip Walton of Newcastle-upon-Tyne kindly supplied us with the information about his father's car. 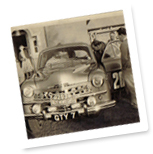 Mr Walton senior was a well-known local rally driver in the 1950's to early 1960's, entering the Monte Carlo rally around twelve times in addition to other events such as the RAC rally and Dutch Julep Rally. He was Tyne Tees Television sports car for the year at least once in the 1960's as well as appearing on a couple of television documentaries! His 'lucky' cherished number plate, GTY 7, was proudly displayed on his Jaguar MK 2 - in fact a photograph of his car appeared in the January edition of 'Practical Classics'. Perhaps you would recognise the MK 2 from early television 'cops and robbers' chases. Between 1959 and 1967, Jaguar built nearly 100,000 of them. Rally drivers loved it for its handling and performance and it remained almost unbeatable until the massive American saloons came onto the scene in the early 1960's. The MK 2 was the successor to the MK 1, sadly the car famous for being the car Mike Hawthorn was driving when he had his fatal accident in Guilford. 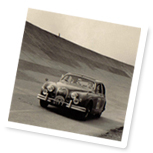 John Coombs ran a garage in Guildford, modifying Jaguar saloons for the road as well as the rally circuit. All kinds of tricks were used to reduce a racing MK 2's weight - like removing the dashboard and even the window wipers! What sounds even more dangerous is the replacement of the rear springs with plywood! These Jaguars raced all over the world as can be seen by the fantastic archive photographs kindly supplied by Phillip Walton. However, as with everything in life, nothing stands still and the advent of smaller, front-wheel drive cars like the mini began to take over the rally scene. Sadly, the larger American cars like the Ford Chevrolet and the Ford Galaxy began to be king on the race circuit. The MK 2 wasn't to exit gracefully yet, however, since it continued to be popular in club racing, finally coming into its own again when classic saloon racing was invented in the middle of the 1970's. Please choose a thumbnail to view a larger image! 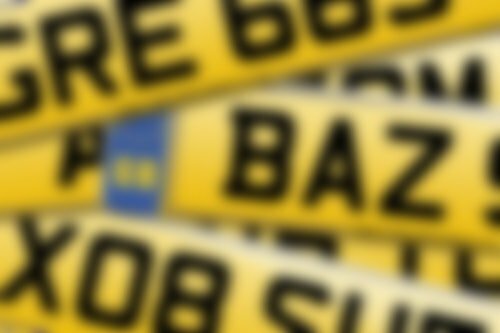 Very good staff and excellent customer service, and very good prices for plates. I would recommend to everyone. Thanks again for my plate.